OWS is a web based, submission, tracking, review and management solution designed to streamline and ease the task of collecting, reviewing and accepting items for publication. OWS is a completely customized system that is trained on your current workflow. OWS provides the ability to understand the status of your publications in real-time. Notifications and reminders via email as well as distributed and collaborative review capabilities are a few of the many valuable time saving features in OWS. Access to the system is achieved through standard web pages minimizing user requirements. Hierarchical authentication schemes allow for rights management to occur at various levels, (i.e. authors, reviewers, administrators, committee members, etc). Items collected through OWS include: papers, abstracts, presentations, posters, video and audio files. 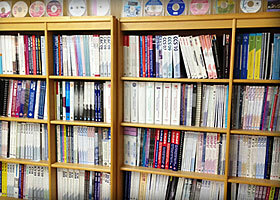 The items along with their associated meta-data are stored and prepared for publishing in electronic (CD, DVD or Web), and print form. The use and validation of templates to ensure the proper formatting of documents can be achieved through OWS. OWS is a hosted, secure solution requiring no infrastructure investment or administrative support to the customer. An OWS site is constructed to mimic the customer’s existing site as to reduce user apprehension and confusion. The servers operate with full redundancy across broadband lines 24x7. The rules of the system are based on your own workflow. In particular the rules governing the reviewing process can be set up however you would prefer it to work. In the past we have had groups that assigned reviewers to particular papers. When those reviewers came into the system they could only see the items they were assigned. In other cases the system "recommended" papers but the reviewer could still see and choose any paper to review. The individual or individuals overseeing the process could watch through management screens and/or email notification as the reviews were accomplished as well as send out reminder notices when they were late. The first step in the process is to meet with the chair or responsible parties and review the current workflow, manual or automated. This results in a workflow diagram that we build. This will graphically depict the workflow and once agreed upon we then train the OWS to understand it. This can be an iterative process and can be fine tuned as we go along. This work is then leveraged for all future conferences should you choose to continue to utilize the system. What we have found is that after the first year conference organizers become very creative with the functionality they suggest in the future. We welcome this situation as we attempt to provide a very personalized service in both the look and the functionality. At a system architecture level, we have a great deal of redundancy at the networking, storage and server level. We also do full daily backups and store media off-site. Note: "an email confirmation will be sent back to the address entered as the "contact author"
Please note that we can completely customize the initial abstract/paper submissions, review and final submission process to YOUR standards. The possibilities are unlimited. It would be good if we could speak to you to discuss what review/er/ing possibilities you are looking for and along with your dateline so that we can customize and setup a site for you.